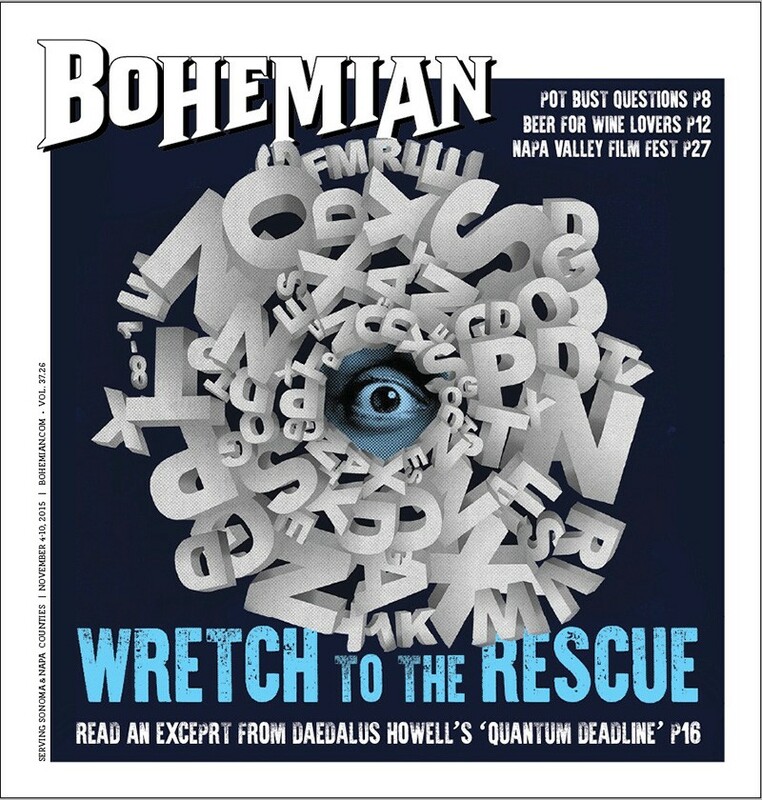 Daedalus Howell's novel Quantum Deadline: The Lumaville Labyrinth is hard to categorize. Let's call it a noirish, sci-fi-lite detective story with a heap of self-parody that's by turns poignant, witty and comic. It's set in an alternate version of Petaluma. The novel features a character named Daedalus Howell as a sad-sack journalist in a cheap suit/superhero costume trying to navigate life in the digital age and a darker vision of Petaluma called Lumaville. In addition to sharp writing, the book's take on the state of journalism and Petaluma's reinvention is one of its strengths. "Petaluma is going through a radical transformation," says Howell. "It's having its moment. It's transforming into a Xanadu for a certain kind of post-metropolitan creative professional. Which makes it ripe for parody." With humor and verve, the novel takes up some of the experiences and struggles within Howell's personal and professional life. He says he likes to explore "the liminal space between truth and fact" as it relates to himself. "I was able to explore the worst parts of myself and expunge them," he says of the novel. "I'm already a bit absurd, so I just thought I'd embrace it."